Dubai: His Highness Shaikh Mohammad Bin Rashid Al Maktoum, Vice President and Prime Minister of the UAE and Ruler of Dubai on Monday launched the “Jumeirah Project”, an initiative of Brand Dubai, the creative arm of the Government of Dubai Media Office (GDMO). The new project is part of the city beautification efforts that aim to turn Dubai into an open-air art museum. It will be implemented in partnership with the Roads and Transport Authority (RTA), Dubai Municipality, Department of Tourism and Commerce Marketing and Dubai Sports Council. The Project features a number of initiatives and events that celebrate the spirit of Jumeirah, one of Dubai’s most prominent areas. During the launch event held at the GDMO headquarters, Shaikh Mohammad approved the logo of the ‘Jumeirah Project’. He was briefed about the objectives of the Project that aims to turn Jumeirah into a cultural destination and a vibrant hub for local, Arab and international artists and creative professionals. The Project aims to create a fresh new identity for the area, which has been a witness both to the city’s past and present. He was also briefed about the various initiatives that will be implemented along the Jumeirah Road - from the Dubai Canal to the Burj Al Arab. The Project will encompass a range of events that aim to highlight Jumeirah’s vibrant creative and cosmopolitan environment and its history and heritage. Shaikh Mohammad commended the idea behind the Project and its objective of supporting the larger objective of enhancing the UAE’s profile as a regional and international tourism destination. “We need a strong vision and a clear set of objectives to transform our ideas into reality. The UAE’s model for development, which is centred on the happiness of its people, has earned the appreciation of the world. 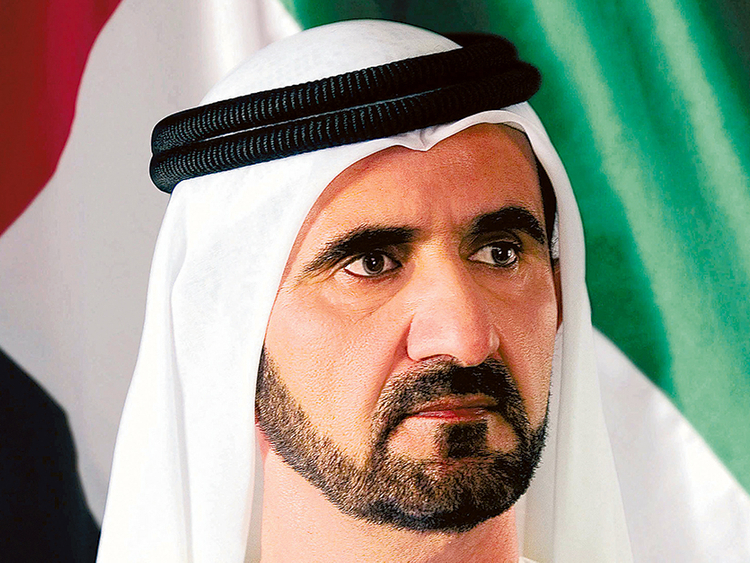 Our objective is to ensure that we transition towards a future where we can achieve global leadership by harnessing our innovative capabilities and ensuring the highest global excellence in our endeavours,” Shaikh Mohammad said. “We want all our initiatives and projects to be driven by innovation. We will provide all the support and resources necessary for turning promising creative ideas into reality. Our goal is to transform Dubai into a showcase for the highest innovation that is ahead of its time. At the same time, our model of development seeks to ensure balanced growth where people enjoy high levels of happiness. We want to create a place that inspires out-of-the-box thinking, where creative minds from across the world can contribute to creating a glorious future,” His Highness added. The Jumeirah Project will see the implementation of 30 artistic projects in 30 locations along Jumeirah Road in partnership with 30 Emirati, Arab and international artists. The themes of the murals include the links between the city’s past and present, and Dubai’s distinctive character that combines modernity with its strong heritage. As part of the Project, a number of unique artworks will be created at bus stations along Jumeirah Road. Several events including the ‘Dubai Fitness Challenge’ and the ‘Gov Games’ will be held under the umbrella of the ‘Jumeirah Project’. Sports events to be held as part of the Project include a marathon, a swimming competition, a triathlon, children’s competitions, a yoga event and a beach football tournament. The Project will also feature a traditional Dhow competition, boat races and a food festival. Jumeirah Road is home to a number of iconic tourist landmarks like the Burj Al Arab, Madinat Jumeirah, and the Wild Wadi Water Park.